Driving Sports TV Episode #26: – Ken Block is well-known for his Gymkhana videos where he took his Subaru Impreza WRX STI rally car and effectively went all out, drifting, power sliding and doing all sorts of crazy things in specially designed locations. Now, Block wants to turn Gymkhana into an actual motorsport, and has announced the Gymkhana Grid and the Ken Block Invitational competitions. 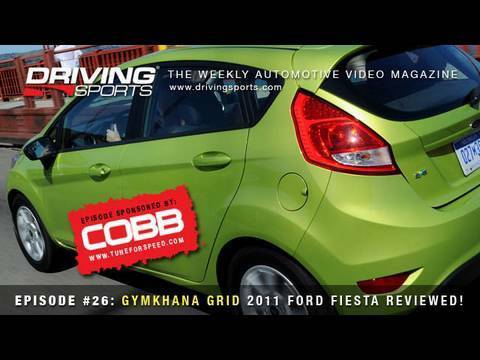 Plus, Ryan flies to San Francisco to test the all-new Ford Fiesta on an autocross course. Content is copyright 2003-2009 Driving Sports. All rights reserved.